Based on, I thought to amuse myself by showing you typical industry sewing instructions. Seriously, this is it! Or maybe I should say you’re lucky if you get this much. 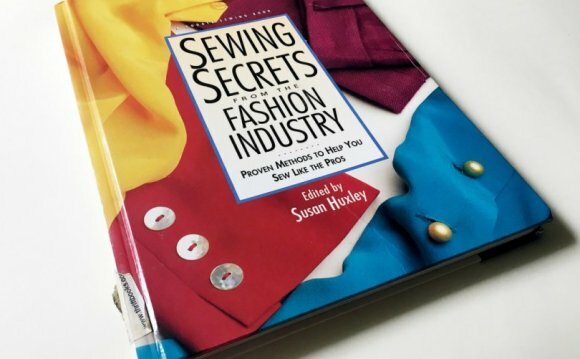 If you think there’s some vast repository of secret sewing instructions people are hiding from you, you may as well give it up. Perhaps the better question is why there are so few instructions. I can think of several reasons. First is chain of responsibility: the head of product development is in charge of getting this done. Not necessarily doing it but seeing that someone does it. Most heads of PD are none other than designers but few have the background in production to know all the details because they’re doing well enough to get their own jobs done. It’s a heady bit of industrial engineering if you see the full chart below. Designers aren’t trained for this so they pass it off to either pattern makers (technical designers) or whoever is in charge in production. The production head (presuming this is done in house) really doesn’t need instructions because they, the supervisors and the operators know what’s what. At best the production manager writes a list of operations (or copies and pastes from past products) to make piece work tickets for bundling. In the case of outsourced production, there’s a few reasons instructions aren’t written. One, again the designer doesn’t know. Two, they expect the contractor to do it but again, why would a contractor do it if they already know how to do it? It’s a chicken and egg problem. The main reason instructions aren’t written is because nobody wants to pay for it. It is that simple.